InkBook Obsidian e-Reader REVIEW: Stylish And Efficient, Is It Worth It? Today, every product out in the market has a definite alternative or substitute. You can get a cheaper more cost-effective version for a costly product out there. Don’t believe us, just look at the billion-dollar business of Apple Mobile substitutes which China brings out every year. They don’t look or feel different. But, the only difference you can mostly see is the brand name. In this context, why is the discussion necessary in the eBook reader review. We are trying to drive home a point, which even market dominant Kindle, has its competitor. The device we have today with us is Inkbook Obsidian which comes close to replacing Kindle in its game. The stylish looking eBook reader is all we need to make the best reading experience for eBooks. It works fast, loads up faster, and delivers on the promise to bring intuitive and smart eBook readers. 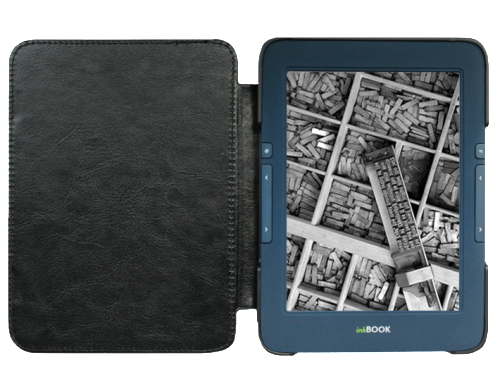 The Inkbook Obsidian is a new e-reader by Arta Tech, a former regional distributor of Onyx Boox. Initially, the company was distributing other e-ink devices for a long time. With the experience of selling eBook readers, Arta Tech took up the production of Inkbook Obsidian readers. 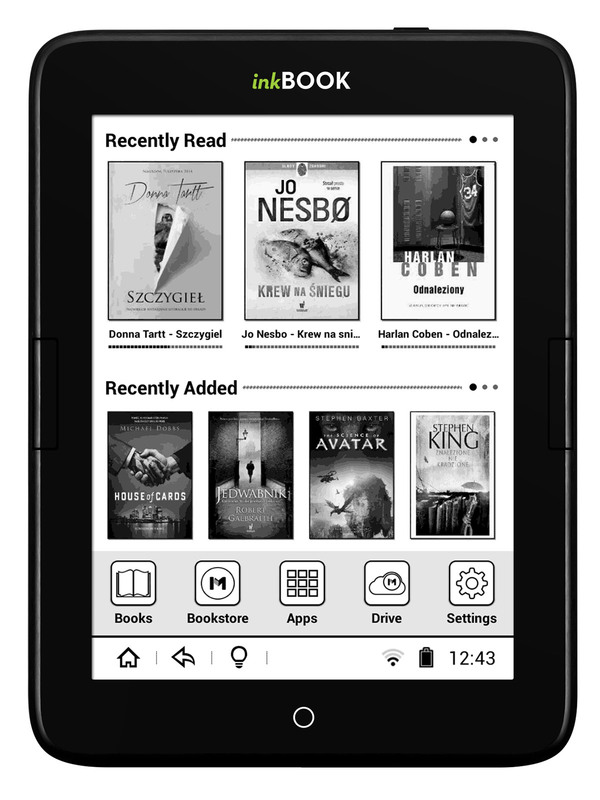 What works best for this eBook reader is the fact that the whole device comes with a bezel design and display. Of course, the major difference between Inkbook and Kindle devices is the freedom you get here. For starters, you get the ability to install your apps within the reader, unlike Kindle devices. Also, the device comes with an e-ink Carta display. The Carta technology produces crisper output, with 7 to 8 grey layers. 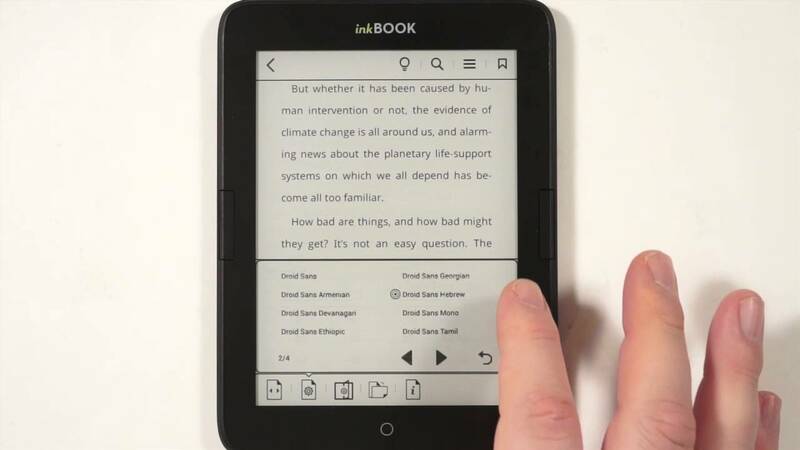 The eBook readers usually just opt for e-ink technology. However, Carta brings a better output with e-ink technology. Let’s see how the Inkbook Obsidian delivers on its word in our review below. Inkbook Obsidian comes out with a six-inch Carta capacitive touchscreen display with a resolution of 1024*758 and 212 PPI. Users may find the fact that the screen comes in the bezel, to be highly encouraging. They can see that the reader offers a better reading experience while being durable for a longer time. The nearest competitor to the Obsidian is perhaps Amazon Kindle Voyage which offers a similar build of the screen. Other than this, the now discounted Kobo Aura. Now, we can’t claim that screening device is the best in the business. When we look at the resolution capabilities of Obsidian, you will see that the products which come in the same range have competitive displays. If a user is looking for high definition displays, Kindle Voyage, Kindle Paperwhite, Tolino Shine 2 and Kobo Aura H20 have 300 pixels per inch, in screen size of 1430*1080. Sure the competition has sharper displays and resolution, but they also lock you into their walled gardens. The basic factor which varies in the category of operating system. To give you an example, Kindle device comes with Linux-based native software, which disallows third party software. You are stuck with the built-in digital bookstore that comes bundled with the device. The good thing about the Obsidian is that it runs open free source Android. The device comes with Midiapolis, a built-in app, which has around a thousand apps. In addition to this, you can always access Play store with your Google account and download as many apps as possible. This makes Obsidian a better device to operate on than any other. The system configurations for Obsidian Inkbook will perhaps convince an average user to pick up the device. In a lot of slower devices for eReaders, we have a welcome change when we have a faster one. Obsidian brings underneath the hood a Dual Core Cortex A9 GHz processor. With a 512 MB of RAM and 8GB of internal storage memory. As an additional advantage, you can always expand your internal storage up to 32 GB via MicroSD card. Most of the eBook readers on the market today have a front-lit display, which allows a user to read the text in low light or darkness. Of course, this method of giving out light is frequently brought out in smartphone or tablet. However, Obsidian decides to shake up things a bit when it ignores this and goes for bezel projection of light. This allows for greater ease in reading. The way it works is that the device consists of five LED lights built into the bottom or top of the bezel. Thereby the LED’s project light upwards. Also, it helps that the bezel design contains the light without seeping out. This is a crucial factor which brings a difference of Obsidian devices with others. Technically, the Nook or Kindle Paperwhite has a better display than this device, but they suffer from Light spillage. Devices like Tolino, Nook Glowlight, Onyx Boox and Pocketbook devices all face this issue when you are trying to read the text in darkness. More apparently, this problem comes around when you increase the brightness from 50% and 100% levels. Hence, this device Inkbook shows text in a crisp manner and brings more joy to reading. You get the best lighting system currently available. A few other things which make Obsidian come across a greater device than other, are its two physical keys. Most of the people who are closely following eBook readers for a long time will know that initial generation of eBook readers came out with Physical keys. A user could turn the pages, scroll down the pages, and even rearrange the digital library. However, over time, the devices became dependent on touch screen-based technology. Another good feature that this device is boasting off is you can use Physical keys to read an eBook while commuting easily. Keep in mind though; only the stock e-book app utilises the page turn buttons, if you install 3rd party apps, they don’t work. 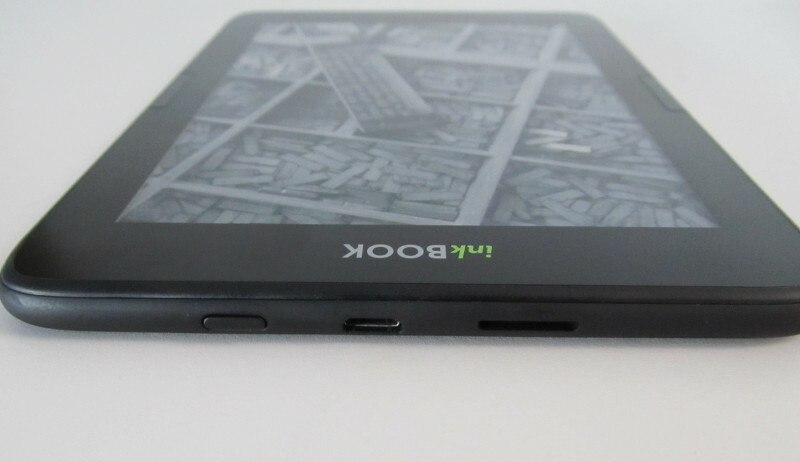 In a similar sense, only Kindle Voyage and Pocketbook sense comes close to looking. One of the other big selling points on the Obsidian is that there is two physical page turn keys. This allows you to hold it in one hand and easily turn pages. People who commute to work on public transit often like this kind of hardware features. Keep in mind though; only the stock e-book app utilises the page turn buttons, if you install 3rd party apps, they don’t work. Google Android powers the device. That’s the simple answer we have here. But that’s not all you get here. There is a dedicated apps tray that contains all the things you download from the Midiapolis App Store. You will find popular e-reading apps like Fbreader and Cool Reader, in addition to e-reading apps from major companies. There is not much of a selection when it comes to digital newspapers, manga, and magazines, so you might want to install the Good e-Reader App Store for e-Ink. Thus, the reading options practically are unlimited. However, you might have a separate set of opinions when you see that there are no different skins available. While most of the eBook readers today give you ample options to pull up skins for the devices. This is the feature you don’t get in Obsidian eBook readers. This feature becomes one of the drawbacks for it. There are a lot of e-readers in the market that have similar UI, menus, and settings as the Inkbook. Although this is not a sad thing as it was, you can still navigate through a bunch of submenus to open your favourite book, access apps or try and access the settings menu. Also, the device shows around with a certain lag, at times when you download third party eBook reading apps. 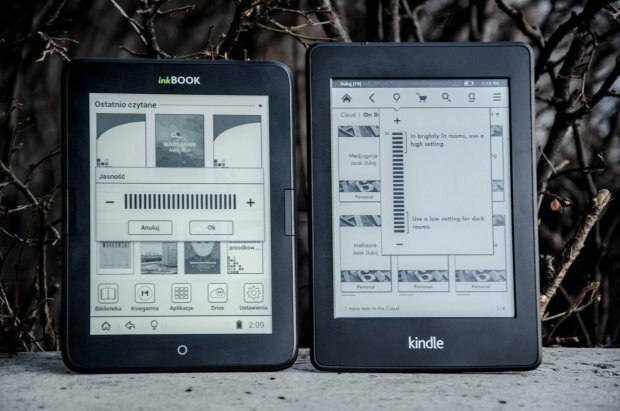 In more equipment tests, users found that the lag happens when Kindle and Kobo e-reading apps. These apps were designed for smartphones and employ animated page turns and the ability to speak out what’s on the next page. When style comes into the factor, Obsidian is perhaps one of the most stylish ebook reader’s money can buy. The operative word here can buy. Now, we say that because Obsidian is available rarely in global shopping platforms, as it is only available on its home website. The company itself is based out of Poland, and this means that even if you do book the device, it will take a while before you get the delivery. The hardware configuration gives the biggest readers a run for their money, and the look and feel of it are gorgeous. The pro’s come with relative con’s as well. As this device comes with limited stock and market, we still do not have as many reviews or hacks from users to bring the best performance for it. Also, it is going to take a lot of trial and error to bring the compatible Android apps on the device. Failure to do so will make the device respond poorly to reading requirements. There are a ton of e-reading apps on Google Play, but few of them work great with e-ink. The best ones tend to be optimised for Android 2.3. Alth0ugh, you can relevantly try them for the free for newer versions. The good thing is that The Midiapolis Bookstore is available. Our verdict, definitely try it out to bring a better reading experience to your eBooks. With newer models coming out this year, Inkbook Obsidian is surely something you need to watch out, as it promises to change the way we read our books.